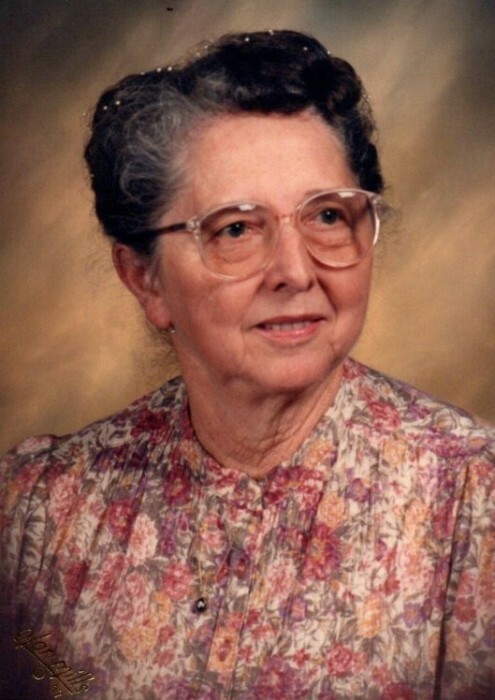 Eleanor Jane Young (affectionately known as Grandma Jane), 88, of Lynn, IN passed away early Sunday morning, February 3, 2019 at her residence, with loving family by her side. She was born August 8, 1930 in Carlos, Indiana the daughter of John William and Olive Iris (Moore) Catey. Jane retired from the cafeteria of Randolph Southern Schools of Lynn as well as working many years at Anchor Hocking. She was a member of Harrisville Christian Church of Union City, IN. She leaves to cherish her memory three sons: Ronald Gene Fisher (Vonda) of Lynn, IN, Jon Edwin Young (Diana) of Farmington, MI, and Don Allan Young (Dianne Spillers) of Lynn, IN; a daughter, Jennie Bea Young of Lynn, IN; a step-son Robert Young (Belinda) of Locust Grove, GA, a step-daughter Brenda Gardner of Lynn, IN ; two brothers, Phillip Catey (Dinah) of Gas City, IN and John Mark Catey (Cathy) of Griffin, GA; 25 grandchildren, 49 great-grandchildren and 19 great-great-grandchildren. Her parents, daughter Elaine Beaty, two grandchildren Jackie & Chad Gardner, husband Jim Young, two step-sons Jim and Charles Young, and brother Alan “Sonny” Catey preceded her in death. A service to celebrate Jane’s life will be 1 p.m. Friday, February 8, 2019 at Wilson Shook Funeral Home, Thomas Memorial Chapel of Lynn, IN. Burial will follow at Buena Vista Cemetery of Unionport, IN. Family and friends may gather to share and remember from 11:00 a.m. to service time, on Friday, at the funeral home. Online condolences may be expressed at www.wilsonshookfuneralhomes.com.